Get a free, confidential HIV test Wednesday – national HIV testing day. 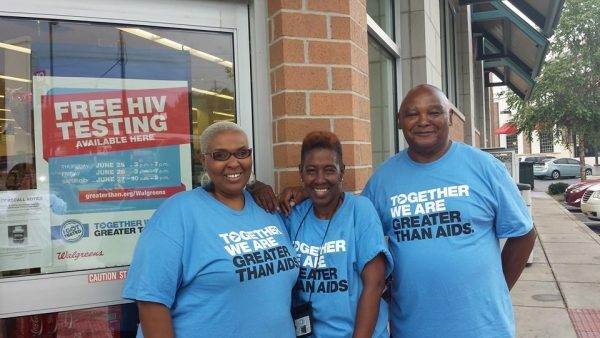 Walgreens and Greater Than AIDS have partnered with several community groups to provide testing and counseling at 22 Chicago Walgreens locations, including six in the Austin area. Testing will take place from 10 a.m. to 7:00 p.m. No appointment is necessary, and results will be delivered on-site. Local partners will be on hand to administer testing and answer questions about prevention, early treatment and PrEP, a medication that offers an effective means of protection for those who’ve test negative for HIV but are at high risk for contracting the virus. In 2016, nearly 40,000 people nationwide were diagnosed with HIV, primarily members of minority groups. About 70 percent of those were among the LGBTQ community; 44 percent were African American; and 25 percent were Hispanic or Latino. According to the Centers for Disease Control and Prevention, an estimated 1.1 million people are living with HIV, 15 percent of whom have not been diagnosed. The CDC estimates that 1 in 7 are unaware of their HIV status, underscoring the importance of community-based testing. West Side residents can take action to protect their friends, family and neighbors from this sweeping problem that's more deadly than gun violence and motor accidents. The devices that tested high have been turned off at three Austin schools - Ella Flagg Young, Lewis and Spencer. Other West Side schools must still be tested.